Since 1983, Wichita Roofing & Construction has been the trusted, go-to expert for roofing and general construction services in Wichita Falls, TX. We proudly serve residential and commercial customers with exceptional roofing, siding, construction, fencing and property maintenance. Contact us 7 days a week to schedule an appointment! Has the time come to re-roof your home, to protect it from the torrid Texas weather? Does your commercial business need a construction company to tackle renovations and upgrades? Wichita Roofing & Construction is ready to be the first and only expert you call for all of your roofing and construction services. For decades, we’ve been proving ourselves as standalone leaders among construction and roofing companies in Wichita Falls, TX, and we’re ready to show you why when the time comes to undertake your next project. We bring diligence, dedication and quality to every jobsite, and we don’t leave until the job has been completed to the best possible level. Big or small, we’re ready to achieve results on your next project. Our construction and roofing contractors in Wichita Falls, TX have a strong portfolio of completed projects that show our diversity and abilities. Whether it’s a simple roof replacement project or a complex, massive build for a commercial facility, we take the time to get the lay of the land so we can get to work quickly and thoroughly. In addition to roofing and general construction, we’re also able to provide customers with essential property maintenance services, including fencing, siding, window installation, door installation, gutter installation and more. 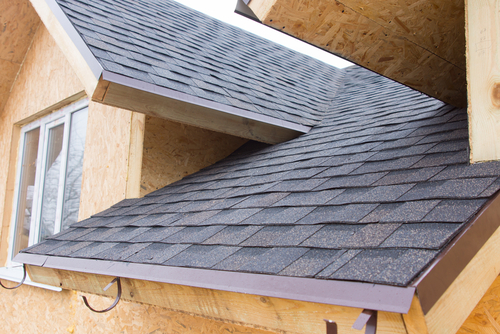 We’re the total package when it comes to roofing, construction and related services. Let us prove it to you today. We’re ready to tackle projects of all sizes and complexities—no job is too big or too small for our team! Our company is fully licensed, bonded and insured for your peace of mind. We’re accredited with the Better Business Bureau (BBB) and maintain an excellent A-plus rating! Our service area extends to all of Greater Wichita Falls, TX and the surrounding cities and towns. We’re available 7 days a week and are happy to schedule an appointment with you at your convenience! From small construction projects to full roofing jobs, basic property maintenance to fencing, siding and beyond, we do it all! Contact our experienced pros today to get started.